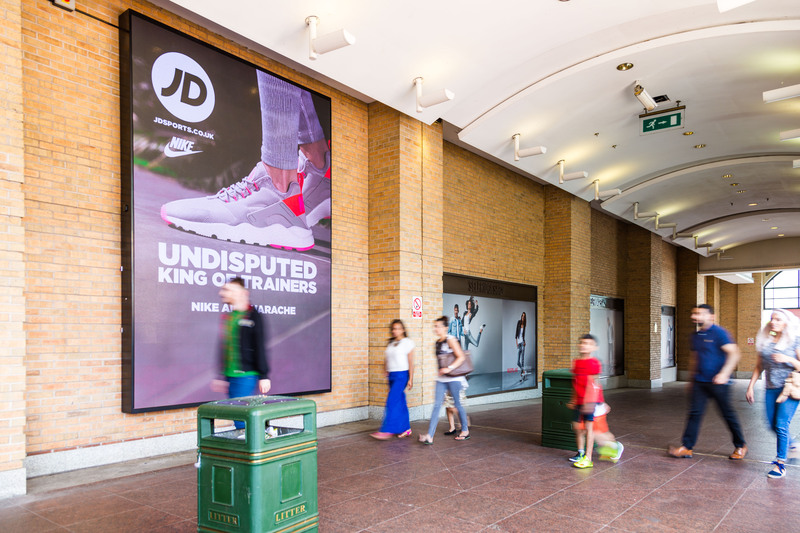 As specialists in the digital-out-of-home arena, we recently had the pleasure of working alongside Perfect Fit Media to deliver a new and exciting advertising solution at the renowned intu Trafford Centre. The project includes two large HD LED screens, both of which needed procuring, designing, installing and commissioning within a strict six-week period. 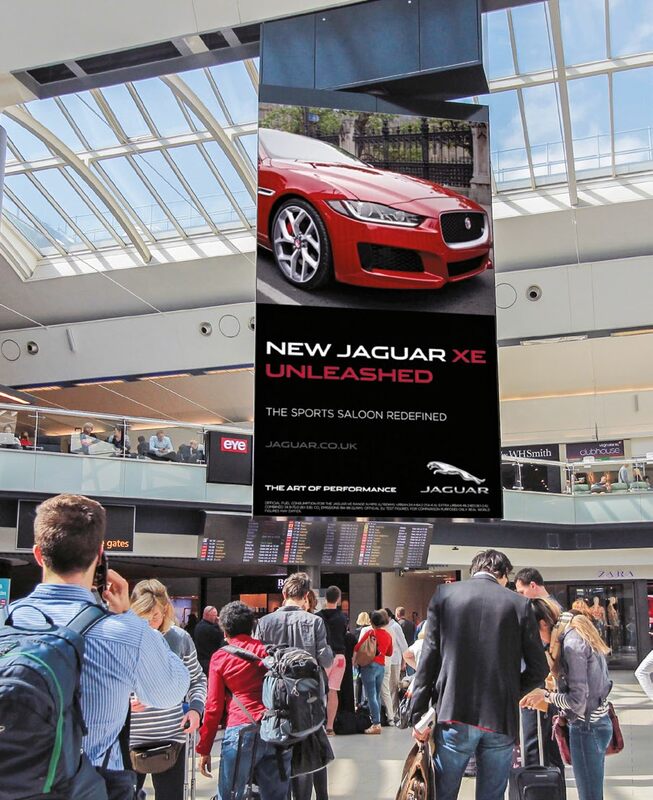 Both screens were intentionally positioned beside the main entrance to Selfridges, providing the perfect advertising opportunity for brands and retailers operating within the shopping centre. 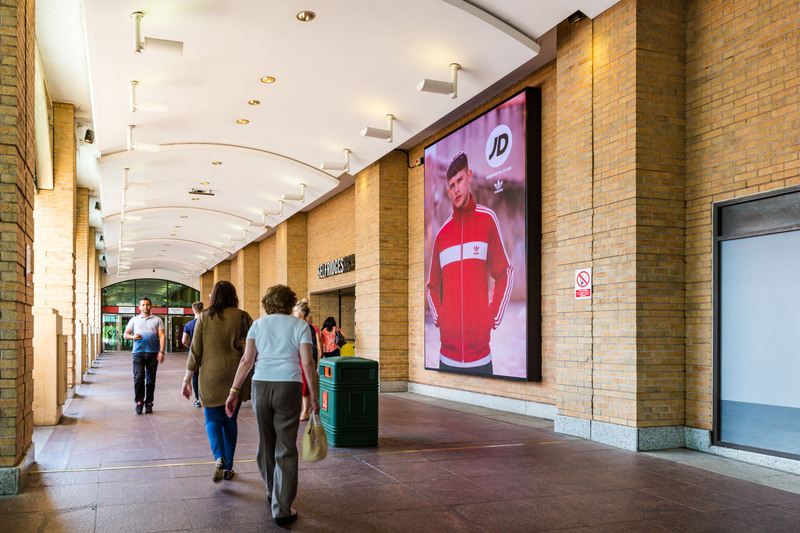 The 2.9mm pitch lightweight displays are the first of their kind to be installed within any UK shopping centre. Supplied by LED provider INFiLED, both screens measure an unmissable 4.2m x 2.8m.